I just wanted to let everybody know that Snatcher and myself (well, mostly Snatcher) have developed a brand new custom program for converting the PCM file in Sega/Mega CD Snatcher (which contains all of the sound effects and most of the dialogue) into a regular WAV file. It's much better than the previous method, which was to use PCM2WAV, because that program lost half of the audio quality. Artemio's program restores the full audio resolution! 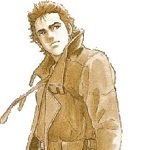 It's quite wonderful to hear the Snatcher dialogue at your leisure in perfect quality. The page on JUNKER HQ to do this (http://junkerhq.net/Snatcher/PCM2WAV/) will be updated soon with the program; the ZIP file will contain a Windows executable, as well as the source code to compile it for your own OS, and hopefully add more features to it (I'd like to see this program evolve into something that can extract perfect PCM audio from other Sega CD games like Willy Beamish, etc). Just a little mini-project; I hope you all have fun with this! Update: The page has been updated and SPCM2WAV is now available for download. Another update: The ZIP actually doesn't have a Mac executable; Mac users will have to compile it themselves. Last edited by 8bitsonic on Fri Jul 20, 2007 11:52 pm, edited 2 times in total. Splendid, I'm currently checking the transcriptions of the English voices of Snatcher. So a better sound quality would make the job easier. Are you going to release it, this weekend? Thanks again. Just tested it and it works fine under windows and even under RISC OS. I only needed to change the filename extensions for the latter. Looking forward to checking this out... Thanks for your work, guys. Tried it out and it works great. Excellent work you guys. without this tool i'd have one hell of a time ripping the sounds for the "Snatcher MOD"! with this i got everything without a HINT of music or other sound over the samples. this progz is FREAKIN AWSOME! in the immortal words of Carl from ATHF. I am really glad you found a use for it man, we had fun doing it. You can use the second version of the program that breaks every sample, it would be more useful in such case. Today I finished a program at my office that handled WAV data, and I though "Why not fix that old Snatcher dumper to give those pcm files a header so that people can just use a regular player and have access to all the samples?". So I went back to it and changed it here's the download page. I also changed the drum sample dumper to do the same, and I added a new routine to remove all the silent files, so now you have only 1214 wav files, but every one of them is a sound sample from Snatcher. Hope you guys like it. Yay! Now people don't have to use GoldWave! By the way, 8bit guy.. what is the name of the turtle character in your signature? Does the Picodrive PSP support WAV files? I played Snatcher with Mp3 files and the audio quality wasn't good indeed. Curious you made this application turn PCM Audio into WAVs. Can you make it do MP3s and/or make a MP3 a PCM? I ask because im trying to convert the soundtrack in the Sonic CD for the Sega CD system and replace it with the soundtrack in the PC Version. The source code is included in the package, so you can make modifications to suit it for your needs. MP3 would be useless, since it is a compressed format and you can use wav instead. I do recall that Sonic's soundtrack was encoded in a different way than Snatcher's though, so you'd probably have to figure that out yourself. and I happen to know people who naturally speaks like most of the characters, and if that wasn't enough, some of them even know and like this game. Is it there a way to do the exact opposite? to stuff translated dialogue in? Of course, the same source code will help you figure out the reverse algorithm. But audio lengths would need to match exactly. In other words, a translation would need you to hack the game code, just as if you were translating form Japanese in many ways.